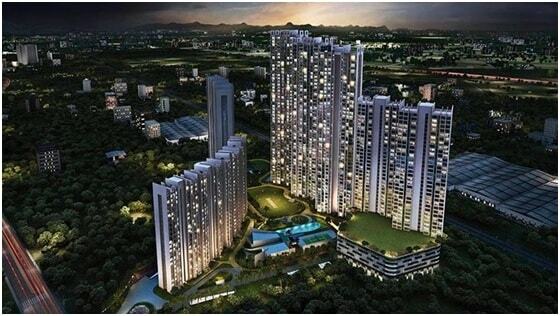 The Forests is an upcoming residential project by Runwal Developer located at Kanjurmarg West, Mumbai. Mumbai is one of the hotspots for residential development and therefore has a lot of growth potential.Runwal Forest is constructed 16 acres with around 5 acres of central green area. This project offers 1 BHK, 2 BHK and 3 BHK homes and a complete package of useful features and amenities for all residents. Runwal Forestes is enveloped by lush trees and landscaped gardens on all sides. Runwal Forests comprises of 10 wings of 44 to 58 storeys respectively. These classy living space starts from 1.20 crores and extends upto 3 crores. With apartment sizes starting from 471 sq. ft. (Carpet Area) and going up to 1129 sq. ft.(Carpet Area), you will get all the space you need and will never run short of it. The project consists of 10 multi storey residential towers each comprising of 4 apartments per floor with 11 floor to ceiling height. For more information on price kindly contact us. Depending on your flat area/configuration will get you latest price including stamp duty registration. Kanjurmarg West has many well-known projects catering to the needs of all kinds of people, like luxurious living, affordable housing or just for investment purposes.Some of the top residential properties and new projects are Runwal Forests. The locality of Kanjurmarg West is well linked to several parts of Mumbai through the public transport network and important roads. Chhatrapati Shivaji international airport is just at a distance of around 8 kilometres from Kanjurmarg West. While Chhatrapati Shivaji Railway terminal is about 24 kilometres away. Kanjurmarg West has great lifestyle value for its residents. The locality has many Malls and Super markets including. The Forests apartments are centrally located on LBS marg Kanjurmarg West, Mumbai. At Runwal Forests, there are multiple amenities on offer for residents including Club House, Large Green Area, and Landscaped Gardens.The project also offers sporting amenities to the sports lovers. The other amenities include Gym, Swimming Pool, Play Area, Basket Ball, Jogging Track, Cycling Track, Skating Rink, Tennis Court, Squash, Cricket & a grand entrance lobby and ample car parking space. Schools: - Pawar Public School, Kendriya Vidyalaya IIT Powai, St Xavier's High School & Junior College, I.D.U.B.S High School & Junior College, Parag Vidyalaya. Shopping Malls: - Globus, Shah Shopping Centre, A. M. Enterprise, ARROW, Metro Mall. Hospitals: - Madhu Polyclinic & Nursing Home, Central Health Home-Central Dental Clinic, Rathod Nursing Home, Madhavbaug clinic, Bhandup west, NuLife Hospital. Restaurants: - Omkar Snacks, Cafe Coffee Day, Sanraj Restaurant & Bar, Thyme - A Bistro For The Real You, Hotel Ravi Raj. Movie Theatres: - Cinepolis Neptune, Carnival Cinemas Huma, Carnival Cinemax. Banks/ ATMs: - Union Bank Of India ATM, IndusInd Bank ATM, Kotak Mahindara Bank, HDFC Bank ATM, Axis Bank ATM.